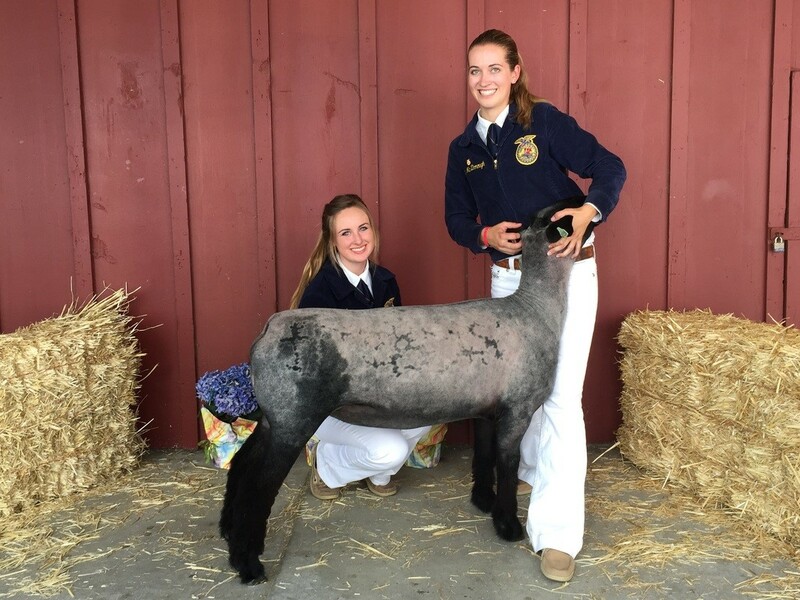 CFCU supports 4-H and FFA students in Sonoma County. Growing, producing, and distributing local food in Sonoma County is no easy task. But the young people who participate in 4-H and Future Farmers of America (FFA) are learning first-hand what it takes to raise and care for livestock to be sold at one of the local county fairs during the summer. This completely sustainable project promotes buying locally and encourages community members to support agricultural youth by purchasing their market animals at the fair. Not only do these 4-H and FFA members learn to feed and care for a market animals, but they must also learn the business of agriculture. Kids keep records, track expenses and create budgets to make sure they are able to make enough profit for the next year. Community First Credit Union has stepped in to help aid these kids with the business side of the equation by creating a program to help teach young people about money, finances, and the benefits of shopping locally with their zero interest ag loan program. 4-H & FFA youth who are raising market animals for the local fairs can borrow up to $2,500 at 0% interest to pay for their animals, feed, and supplies. They learn how to write a check, use a debit card responsibly, and how to track their expenses using online & mobile banking. Best of all, when the kids pay their loans back at the end of the summer Community First Credit Union will report their credit score! These kids are able to start establishing credit before they turn 18 and learn a valuable lesson in how to be financially responsible. The kids begin with filling out an application, where they must complete a budget for their market animal and show how much money they plan on spending and how much income they project on getting from their project. Then they come into one of our five Sonoma County branches to sign loan documents… just like the adults. Along with signing loan documents, the kids receive a savings & checking account, access to online & mobile banking, and their own debit card. The kids then have the ability to pay for their own feed and supplies for their market animal projects. Best of all, many come back into the branches to ask questions about their accounts such as how to use their online banking more efficiently or how to make sure they have enough money in their checking account before using their debit card. One parent recently said she liked how the program taught kids that — unlike the never- ending bank of mom & dad — they have to be careful about their spending. This makes them more thoughtful and thrifty about where and how they spend their money.